Bottoms UP Glass is owned and operated by stained glass artist, Nikki Root. 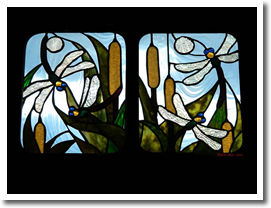 Nikki has custom designed and handcrafted stained glass windows in Cache Valley and surrounding areas of Utah since 1994. In addition to her beautiful traditional stained glass, she now specializes in one of-a-kind, 3-dimensional glass creations which are skillfully crafted from a variety of individually hand-cut vintage bottle and glassware bottoms… thus bringing "glass from the past" to brighten our world today. 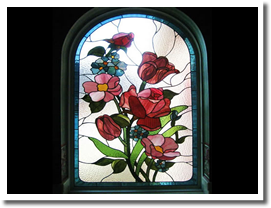 Stained glass pieces are completely customized to your specifications of design, color, material, and type. The possiblities are limited only by your own imagination. 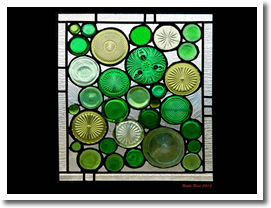 Recycled glass art is glass art comprised mostly of bottoms from glass bottles, jars, cups, goblets, or any other translucent containers. 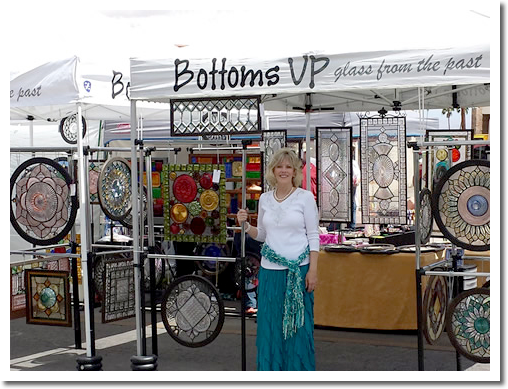 Nikki sells her upcycled glass at art shows in Utah, Nevada, Wyoming, and many other places. You can also contact her by phone or email to have pieces shipped directly to your door!